← What weddings are you looking forward to in 2012!! 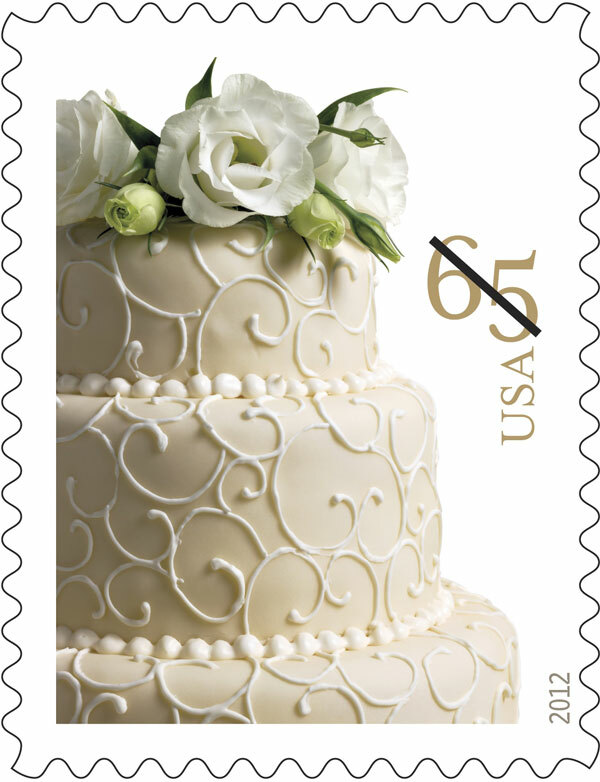 Just released yesterday, the United States Postal Service unveiled their popular Wedding Cake stamp. First introduced in 2009, as a part of their Wedding Series this stamp is designed for invitations 2 ounces and under. Issued in sheets of 20 this is surely a perfect addition to wedding oriented packages. The stamps are available at Post Offices nationwide, online at usps.com and by phone at 800-782-6724. This entry was posted in Weddings and tagged big letterpress, customized weddding stamps, letterpress, lion in the sun, new wedding cake postage stamps, Peter Brett, spark impress, USPS stams, wedding, Zazzle. Bookmark the permalink.